Ceramides are lipids (oils) found naturally in skin and are essential in supporting the skin barrier and retaining moisture. 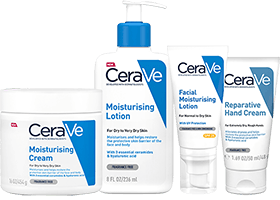 All CeraVe products are enriched with ceramides 1, 3 and 6-II to help restore skin’s natural barrier. The unique combination of 3 essential ceramides in CeraVe (ceramides 1, 3, 6-II) help replenish skin’s existing ceramides, relieving dry skin, by reducing moisture loss, increasing hydration and restoring the skin barrier. Explore our full range of products. 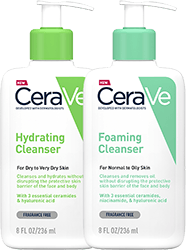 CeraVe contains the three essential ceramides healthy skin needs.